In 2014, the fashion industry, yet again, managed to produce some of the most talked about people, events and fashions (of course) to show to the world. There was the time Kim Kardashian landed quite the scandalous cover of an indie magazine, Karl Lagerfeld held a huge fashion protest where models rallied together on one of the world's biggest stages, and Blake Lively took pregnancy fashion to a WHOLE new level with one ensemble after another. 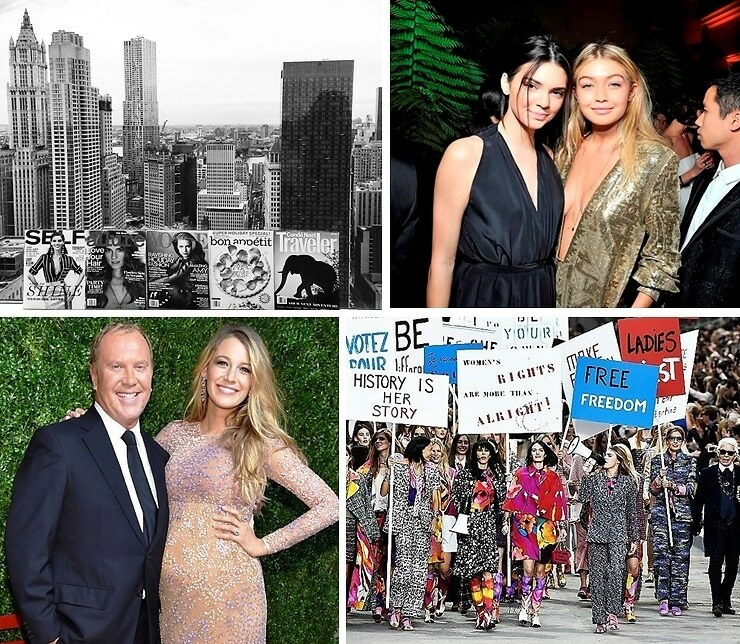 Of course, there were plenty more noteworthy fashion surprises this year, so we've rounded up ten of the biggest, most unforgettable moments of the year.